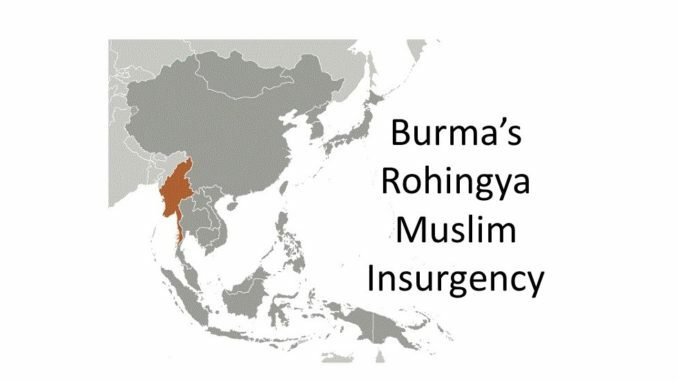 Burma’s Rohingya Muslim insurgency has been churning for seventy years and it now presents a real risk of opening Burma’s western border to Islamic Jihad. In addition, a huge humanitarian crisis exists that requires the world’s attention . . . and action. Discriminatory policies and persecution over several decades by the Burmese (Myanmar) government have forced the migration of many thousands of Muslim Rohingya to Bangladesh (by land) and to Indonesia, Malaysia, and Thailand (by boat). In addition, it has fueled a long-simmering insurgency – which has prompted the government to reinstate stability in the western area of Burma through a harsh counterinsurgency campaign. Trouble in Rakhine State. 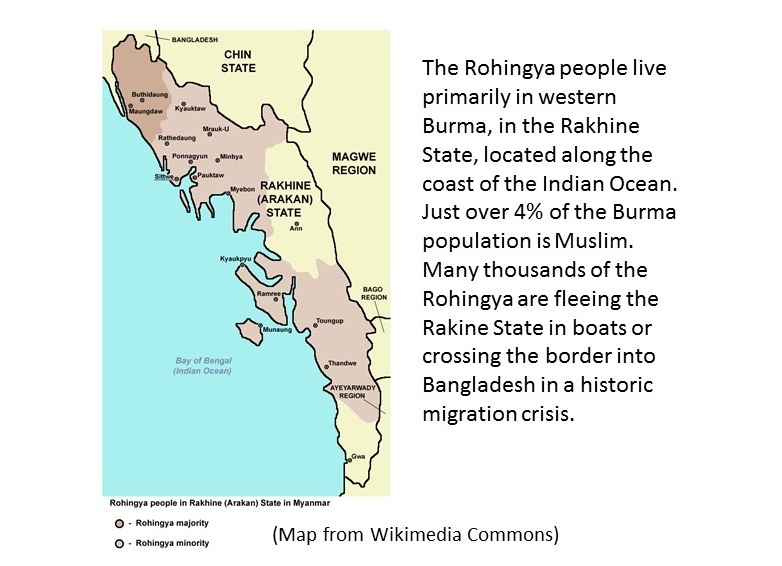 The Rohingya Muslim insurgency is located within the western regions of Burma along the coastline of the Indian Ocean. 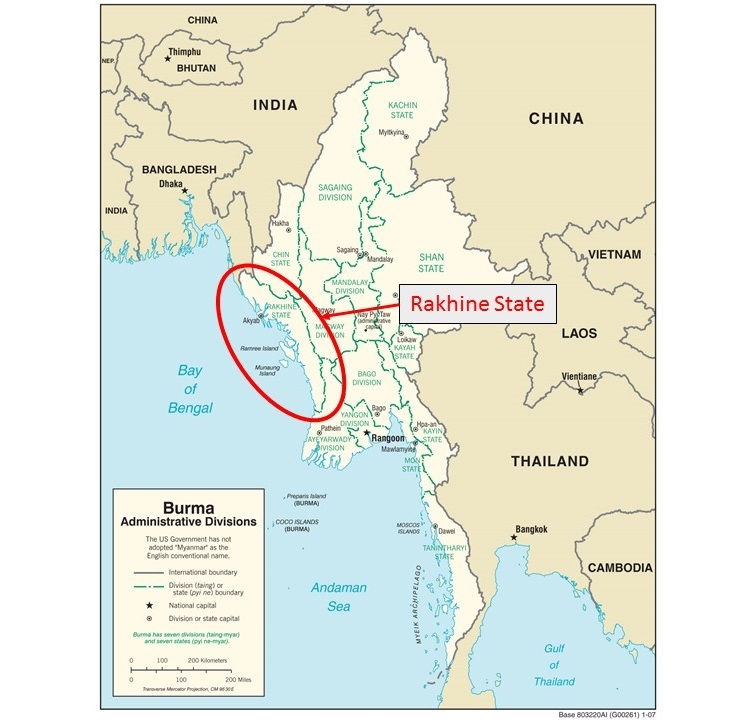 The insurgency operates primarily in the Rakhine State (also known as Arakan). 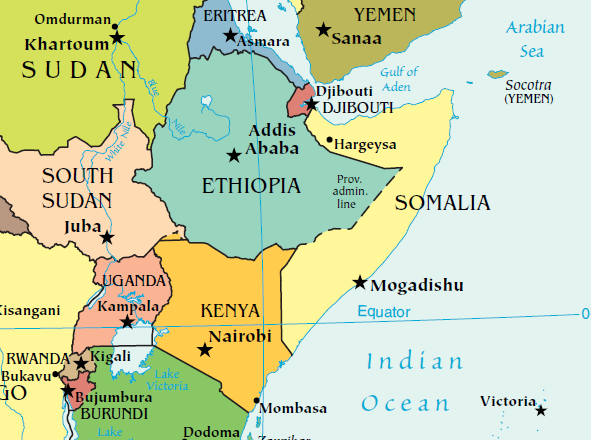 The crisis increased in late 2016 and in 2017 after insurgents mounted attacks on police and army posts and the government retaliated in a brutal campaign. The Rohingya People. Living in a primarily Buddhist country, the Rohingya people are an ethnic Muslim minority. The numbers of the Rohingya people vary – depending on the source of the information. Some estimates say there are 2 million, while other estimates cite 1 million. 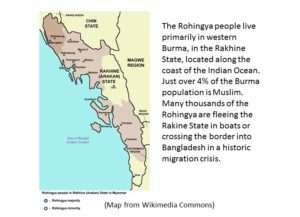 Most observers agree that there were at least 1 million Rohingya people inhabiting (for the most part) the Rakhine State at one time. The number of refugees who have left for other countries has reduced the numbers of the Rohingya people within Burma significantly. The Rohingya people differ from the other groups in Burma – ethnically, linguistically, and religiously. Ending the Conflict and Humanitarian Crisis. Jeff Goodson, a retired U.S. Foreign Service Officer, worked for the U.S. Agency for International Development on the ground in 49 countries in Asia, Africa, Latin America, Europe, and the Middle East. 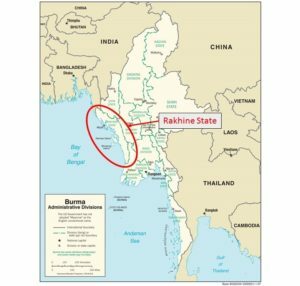 In a recently published article he provides a detailed account of the history of the Rohingya Muslim insurgency, it’s transnational terror connections, claims of ethnic cleansing by Burma security forces, regional security concerns, and why (and how) the international community should move quickly to intervene on the Rohingya problem. Goodson presents two options for resolving the conflict and humanitarian crisis. The first option revolves around setting conditions for the safe return of the Rohingya refugees to Burma. The second option is the removal of the remaining Rohingya people from Burma and resettlement in Muslim countries. His article is a detailed account of the current situation in Burma and a good read! Read Goodson’s article in “Ending Burma’s Rohingya Dilemma”, Real Clear Defense, November 27, 2017.